Last week I started a Friday fun day. 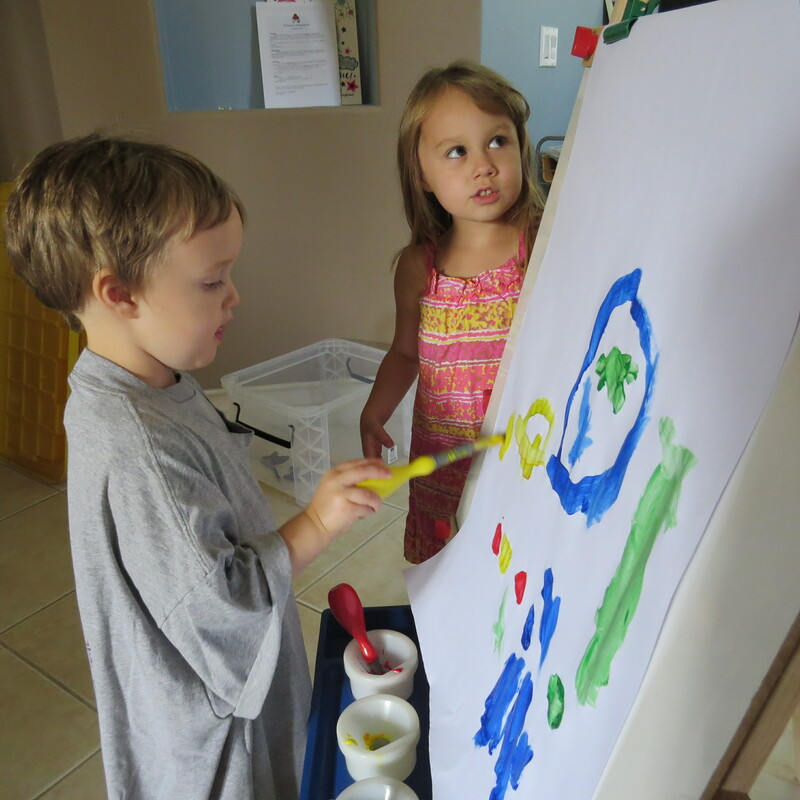 I introduced the paint for the easel that Little Rascal got for Christmas. Yah, they had never actually used it for its intended purpose. Why? 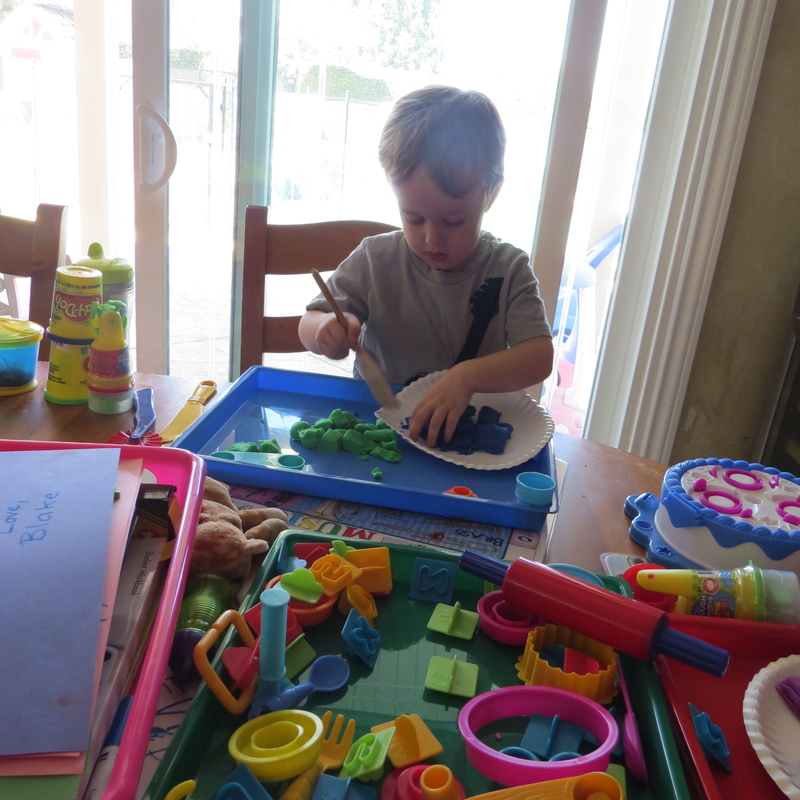 Well, like most moms I’m not a fan of messy play. 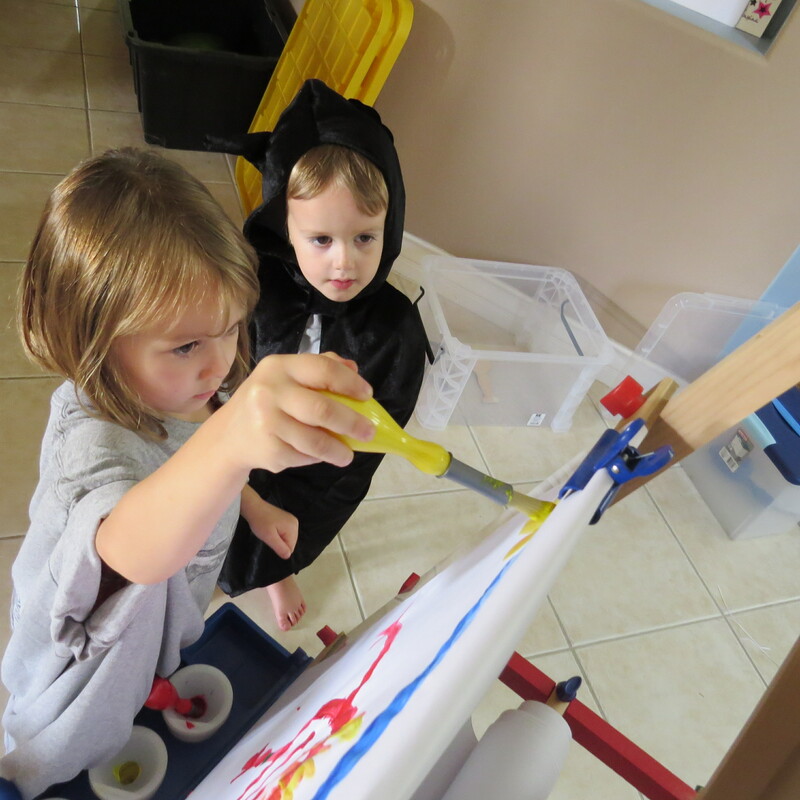 Lately I thought, there will be no other chance for the kids to do messy play, because they are home with me ALL.THE.TIME. 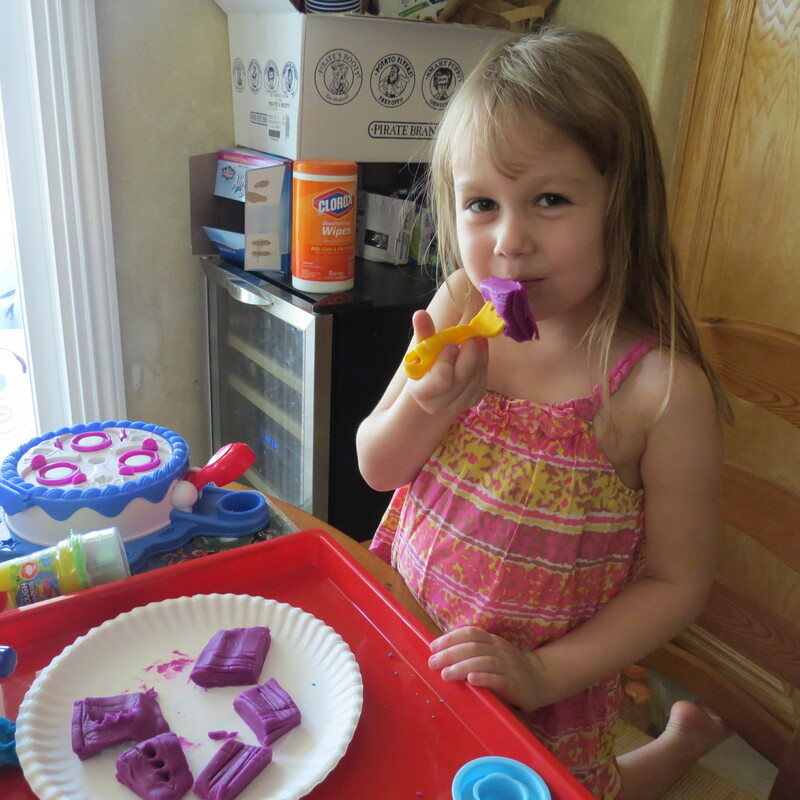 So messy play on Fridays, like painting or play-doh or whatever, was born. Its been a big hit. This has been great for them and for me. It allows room to breath in the week. It gives us all a chance to relax. I can be in my pajamas and drink coffee and catch up on whatever I want (laundry, emails, blogging, reading, etc.). This time has been SO needed. I’ve been putting my whole self into this new found ‘project’ of homeschooling that I’m finding it takes up all the space in my brain and body. I’m constantly thinking about it, constantly doing something for it. Its exhausting. And I’m sure there are plenty of people who say “oh just relax and let them have fun. They will eventually catch on”. Um, NO. Well, yes and no. Yes, its important to play, which I’m happily allowing ample time for them to do that, but its not true that they will just ‘catch on eventually’. I have seen several middle schoolers and high schoolers who homeschool and struggle with their reading and writing. Education is important to me, if it wasn’t I wouldn’t be putting my whole heart and soul into trying to educate my children. But life can’t always be about drills and workbooks (don’t worry, we don’t do that that much anyway). It’s important to live life too. And not get burnt out.